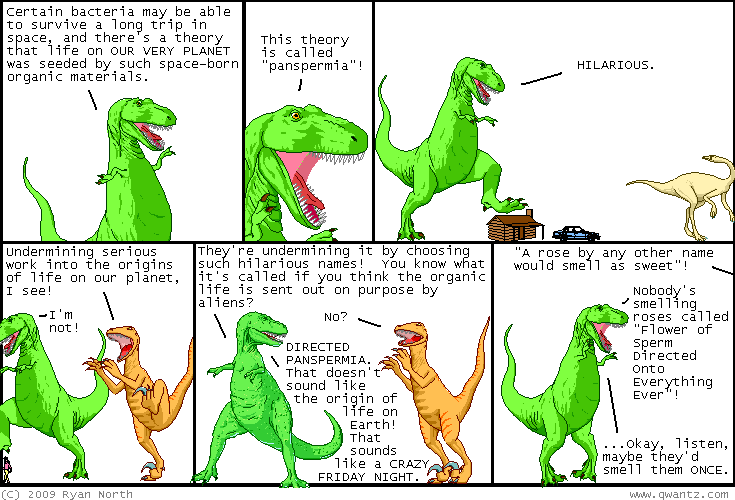 Dinosaur Comics - August 14th, 2009 - awesome fun times! August 14th, 2009: Bing at Cakebomb is having fun by mashing up random Twitter updates and random Dinosaur Comics panels 2! Also I was interviewed by Comic Book Resources! It was the first interview I'd done in a while that was about both Dinosaur Comics and Project Wonderful, the awesome advertising company I programmed! Usually people only ask me about one or the other. NOT THIS TIME!! !